LAST MINUTE: 8-day full board Mediterranean cruise in balcony cabin for €199! Last minute: 6-night full board Mediterranean cruise from only €150! 5-night full board Mediterranean cruise for only €199! 5-night Mediterranean full board cruise for just €182 per person! Wizz Air: €100 discount code on flight + hotel packages to sun destinations! 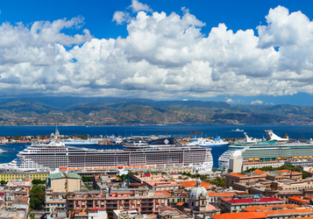 Cheap summer flights from France to Sicily for only €45!